Oh my goodness you guys! We have SO much catching up to do in the book department! It’s been ages since I shared what’s been on my shelves. 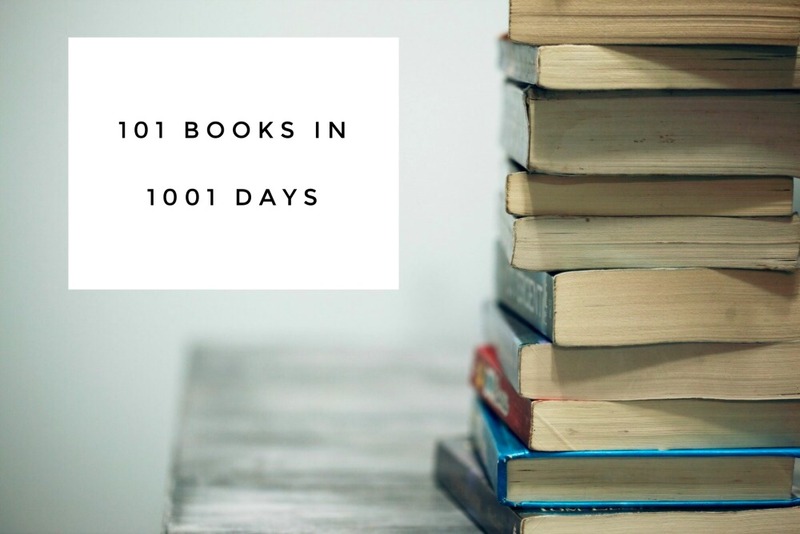 I’ve just ticked off another thing off my list of my 101 Things to Do in 1001 Days – read 101 books in 1001 days – but before I start a new reading challenge, let me share what’s been on my shelves! 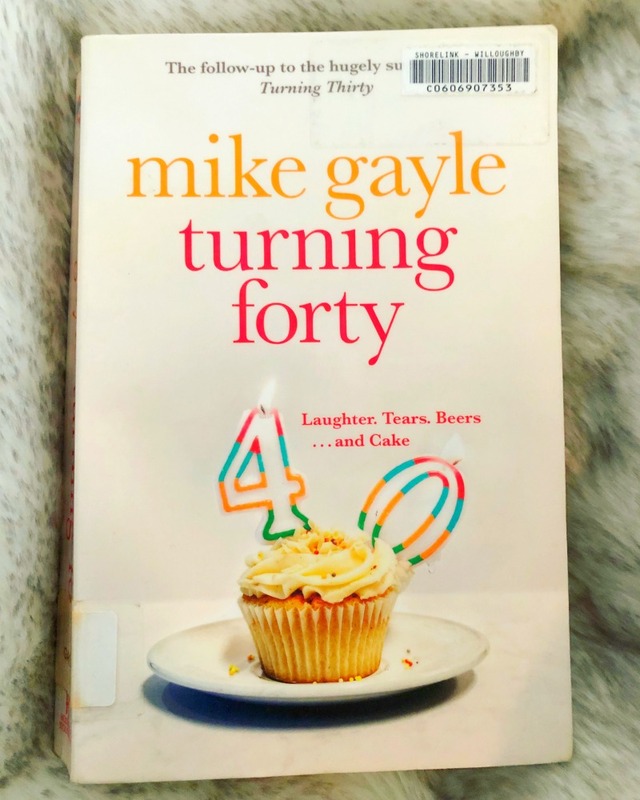 Although I much prefer Mike Gayle’s more recent writing, I certainly have had a lot of fun reading through his back catalogue! much preferred Turning Forty to Turning Thirty but that’s more to do with my age than Mike’s literary prowess. Matt is turning forty and thinks he has his life sorted, he’s got a great job, a great car, he’s even got a man shed! But when his wife calls time on his marriage, Matt’s life turns upside down and he finds himself broke, living back with his parents and having to rebuild his life. As always, Mike’s characters are believable and relatable and the book has Mike Gayle’s trademark warmth and humour. The ending is not as neatly tied with a bow as I had hoped but fingers crossed that this means Matt should be back for Turning Fifty! 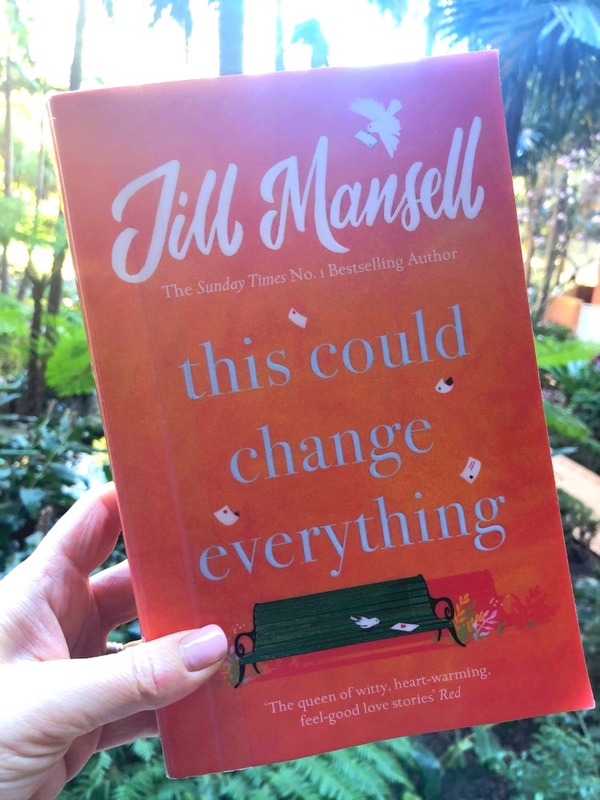 This is classic Jill Mansell – a heart-warming, feel-good (and a little bit predictable) love story. I’d forgotten how much I enjoy her books. When Essie’s round robin takes the internet by storm her life seems to unravel at a rate of knots, but she finds the flip side and how much life there is to be lived. She meets Ziliah, Connor and Lucas. The characters are pure gold, especially Zilzah, the big hearted and life loving octogenarian. This is easy reading with all the feels, it’s sure to make you laugh, cry and will warm the cockles of your heart. This is Mike Gayle at his finest. The Hope Family are broken. Laura, the mum was killed in a car accident a year ago and Tom the dad, a busy television executive has thrown himself into his work to try and escape the pain and loss that he feels. It’s been left to Linda, Laura’s mother, to take care of the house and her two grand daughters. But one year after losing Laura, Linda realises that Tom needs to step up and take responsibility for his daughters for everyone’s sake. This is warm, funny and insightful and my eyes leaked more than once. The characters are so realistic; perfectly imperfect with good days, bad days and a lorry load of secrets! It’s a beautifully written story and shows how life goes on after death and how we all cope and grieve differently. 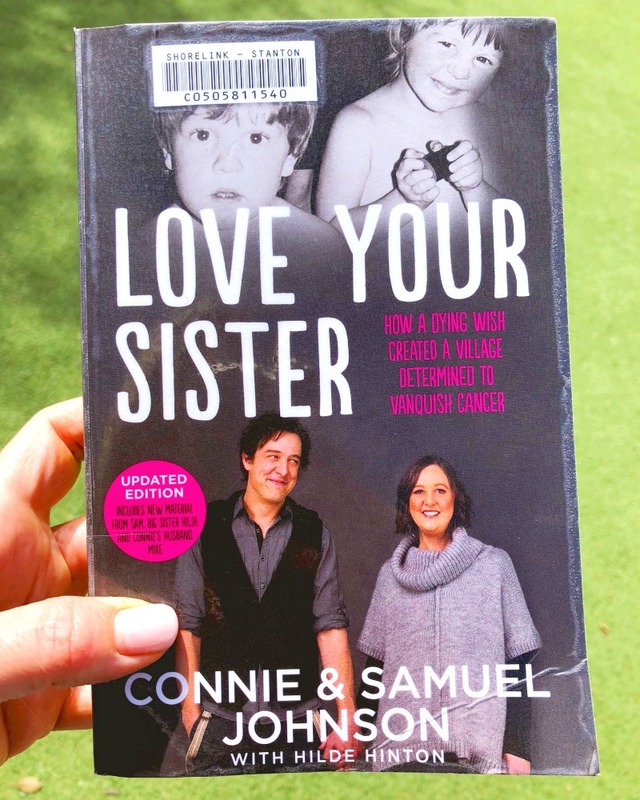 Brother and sister Samuel and Connie Johnson, share their truly amazing story – it’s a bit of a literary hybrid, part memoir, part travel diary, part conversation but ultimately it’s a most inspiring and unforgettable story that shows just how far this brother has gone and will go for his sister. It’s so much more than a book about cancer though, it’s about love, family, perseverance and how everyone needs a village. This edition has been updated after Connie’s death – tissues are most definitely required! My eleven year old niece lent me this book and it’s hard to say who loves it more, me or her. 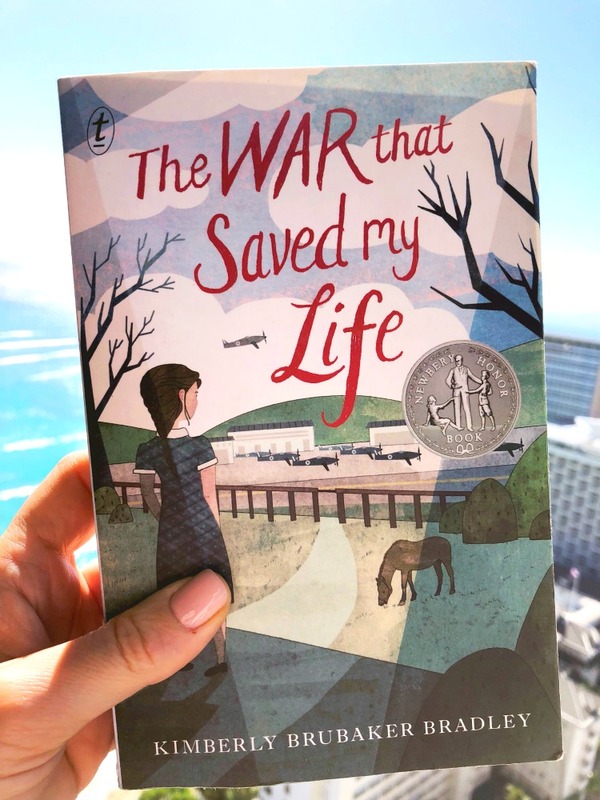 This young adult historical fiction definitely deserves to be read and will surely be enjoyed by adults too (at least this adult anyway!) It really is a wonderful read for all ages! Set during World War 2, this is a story of triumph against all odds and over adversity. Ten year old Ada lives with her mother and her brother in a one room flat in London. She has a club foot which her mother finds humiliating and so she has never been allowed outside. However, everything changes for Ada when her little brother Jamie is evacuated from London and she sneaks away to join him. The war is only part of the story though because the main focus is the relationship between Ada, Jamie and their new guardian, Susan and the way that Ada’s confidence, self-worth and freedom grows. It’s a joy to behold! 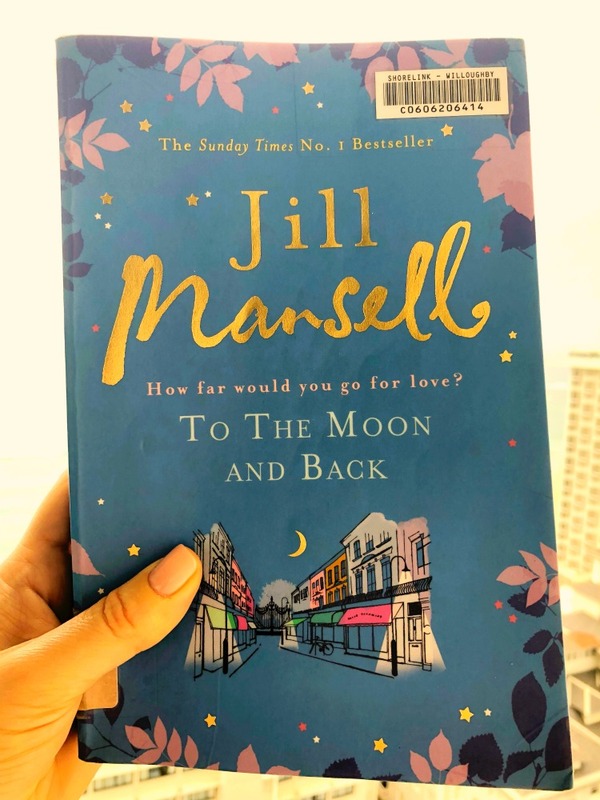 Back on the Jill Mansell train – this is a story about guilt and forgiveness, first loves and last loves and overcoming pain and loss. It’s Jill Mansell at her finest! When Ellie tragically loses her husband, she feels as if her world has ended. 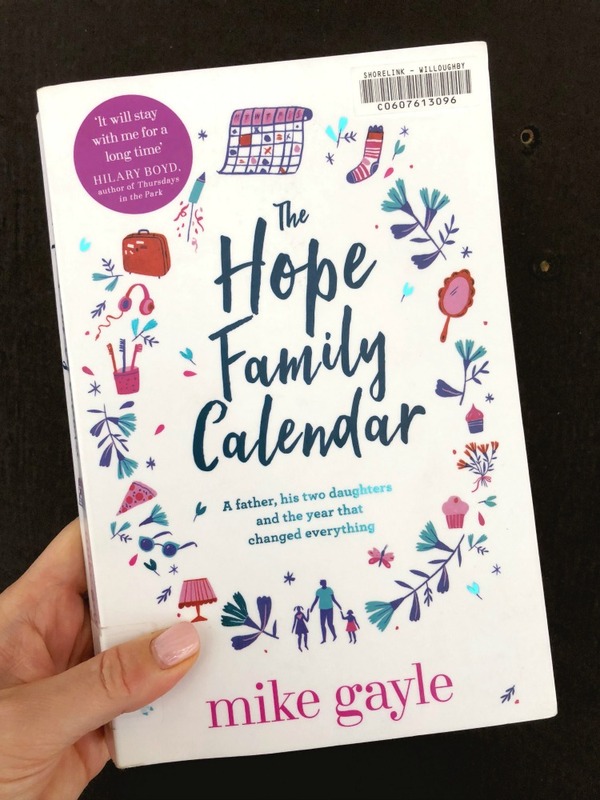 She decides she needs a fresh start and her father-in-law Tony insists she looks after his house in Primrose Hill where Ellie meets her enigmatic neighbour Roo and gets a new job working for Zack. One thing’s for sure, Ellie’s new life in Primrose Hill is going to change her life in ways she’s never known. I loved the well crafted characters, the beautiful setting (it felt like I was reading on the set of Love Actually,) the humour, the romance and all the feels. It’s a fast but fabulous read! For someone who doesn’t usually read thrillers, I’ve been enjoying rather a lot of them lately. I read this on holiday in Hawaii and could not put it down! This debut crime fiction from Jane Harper is just pure gold. The farming community of Kiewarra is dry as a bone and in the grip of a crippling drought when three members of a local family are found brutally murdered. Federal Police investigator Aaron Falk reluctantly returns to his hometown for the funeral of his childhood friend, the town that he and his father were run out of twenty years earlier. Falk is such a tough nut to crack and so hard to read (excuse the pun,) but just like the storyline, he’ll reel you in. 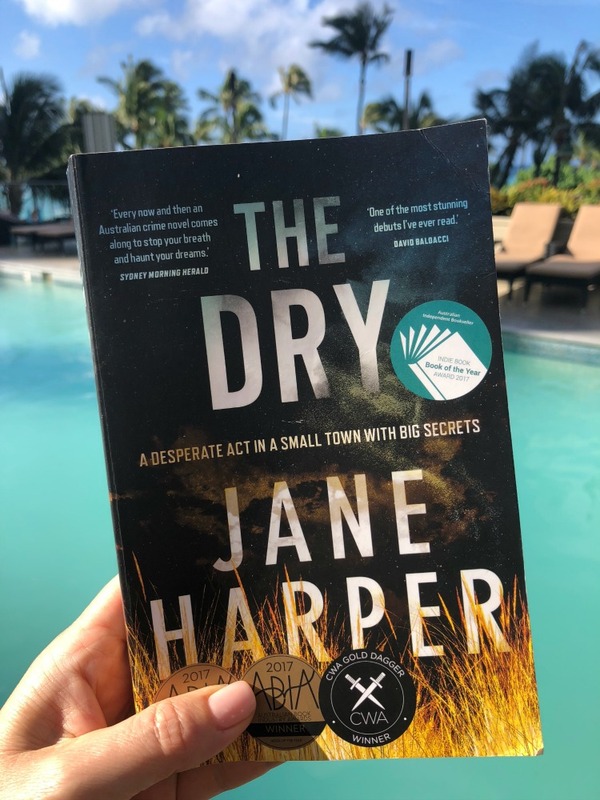 With the iconic Australian backdrop, the twists and turns, the suspicion and the secrets, Harper will have you guessing right to the very end. 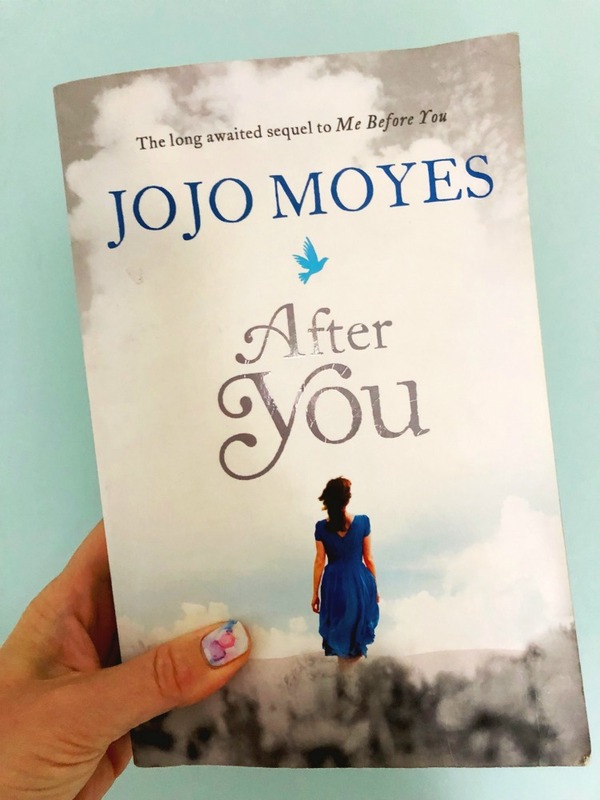 I was so traumatised after reading Me Before You (note to self don’t read it on a plane unless ugly crying in public is your jam,) that it took me a while to brave the sequel. I needn’t have worried though, After You although enjoyable, didn’t pack nearly as much of an emotional punch as the first book. This is not Lou and Will’s story, it’s about how Lou moves on after Will and how his death has affected other characters. Lou is still as loveable as ever and there are new characters too – Ambulance Sam, Donna, Jake and Lily. If you enjoyed Me Before You you’ll like After You too. Just keep a box of tissues handy, ‘kay?! After a bit of romance, I was ready to reunite with Aaron Falk in another mystery. This book however was very different from The Dry in terms of the style and the plot. This time Aaron and his partner Carmen are called to the Giralang Range, where a woman is missing from a team building trip. The men go one way, the women go another, planning to meet up at the end of three days. Sounds simple, right? What could go wrong? Well, quite a lot actually as Aaron soon discovers. This story is a slow burn with bucket loads of atmosphere and suspense and reading it is like peeling an onion, there’s just so many layers! 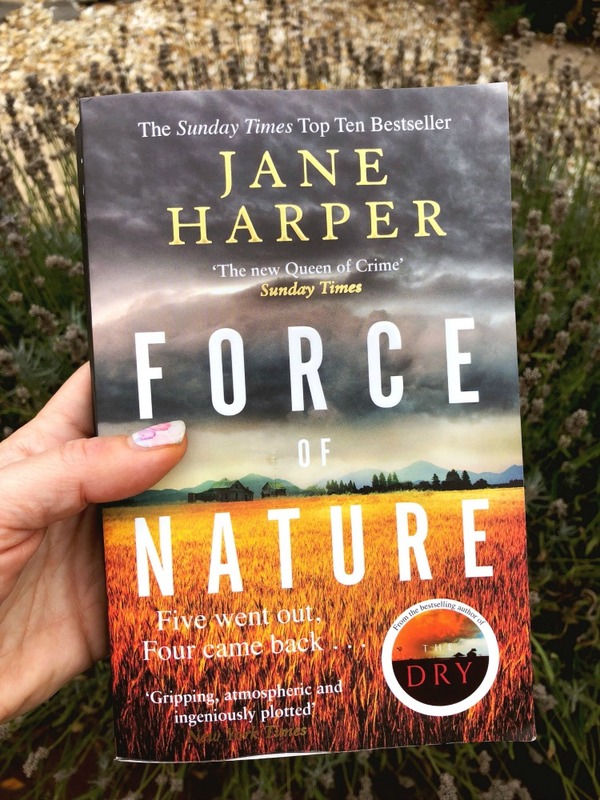 I enjoyed the passing references to some of the characters I know and love from The Dry although Force of Nature is a stand alone story and not a sequel. For someone who spends most of their time living worrying about people they love dying (am I the only one who does that?!) I’ve been reading a lot of books about death and dying and love and loss recently! I really appreciated reading this book so quickly after After You , it’s great to catch up with Lou again. Having rebuilt her life after struggling with her grief, she fulfils her promise to Will to leave boldly, exits her comfort zone and accepts a job working for an uber-rich family in New York City. She leaves her family and Ambulance Sam behind and heads stateside, ready to say yes to everything life has to offer her. This book follows Lou as she discovers who she is and who she was always meant to be, living boldly in her brave new world. It gives the reader some Lou-related closure and gives Lou’s story the happy ending she deserves. 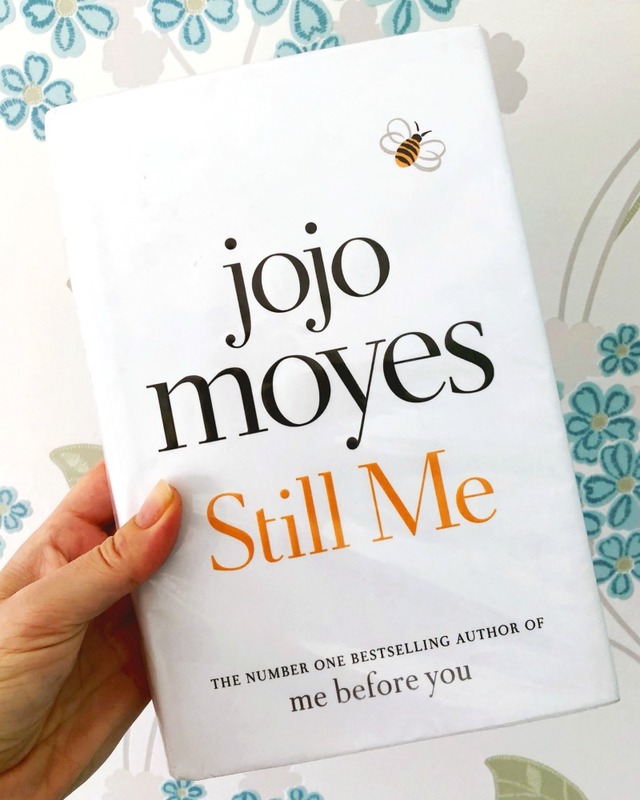 As with the other books in the series, Still Me is funny, romantic and poignant and yes, it made my eyes leak. So now I’ve told you the books I’ve been loving, tell me about yours? Have you got any titles I should add to my list? Are you doing any book challenges this year?